Real Food. Simple Tips. No Gimmicks. 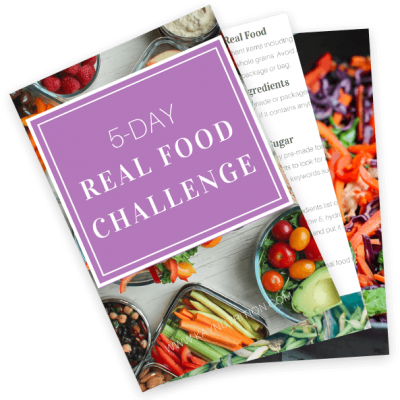 Join my FREE 5-Day Real Food Challenge to get back basics and kick-start your healthy eating habits today! Rediscover how fun and simple eating well can be! The difference between real food and processed food. Simple tips and guidelines for eating well. How to build a healthy meal plan. Quick and easy recipes that taste great!